Our approach is committed to child-led learning. 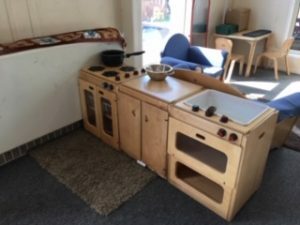 We see children as confident and capable learners who are able to lead their own learning and develop their own ideas and theories, whilst practitioners watch, support, extend and record the learning alongside the child. We provide quality care and developmentally appropriate experiences so that every child may grow to his/her fullest potential as an individual. We use “In the Moment Planning” and seize every moment when a child shows an interest and build upon their curiosity to deepen their knowledge and extend their learning. Written planning is then carried out in the form of observations where we record the interactions and highlight the “Teachable Moments” and outcomes. These are recorded on our online learning journey (eyLog). Children are given the opportunity to choose what or where they would like to play rather than being directed by an adult. Our environment is set up to ignite and promote curiosity. 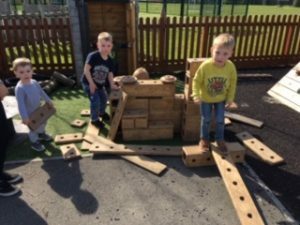 Each play space is inviting and is enthused by the children’s interests and passion for learning. Play is the building block of a child’s intellectual, social, emotional, physical and language skills and through play children develop social skills, problem-solving skills and interpersonal skills. 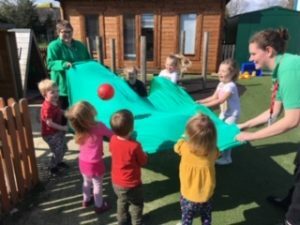 A large portion of a child’s day at The Orchard Nursery is spent in free play.